My Mom truly is the 'Mother Who Has Everything'. Case in point, this past Christmas? "I'd like you to pay for my Internet for the year, please." This Mother's Day? "Can you and your brother paint my living room?" Don't get stuck painting your mom's living room - give her the gift that keeps on giving, Netflix. My fave of all the titles is definitely Baby Mama. I have a super crush on Tina Fey AND Amy Poehler. And now that I am a Mama I laugh at this movie on so many more levels. This Mother's Day I might sit down and enjoy this movie - after watching some Sesame Street or Thomas and Friends with my daughter, of course! Netflix is offering the ultimate gift for the ultimate person in your life - mom. One lucky YYZ Bambina reader will win a one year subscription to Netflix and a Roku Streaming Player (approximate value $89.99). Open to Canadian Residents (excluding Quebec) who are the age of majority only. Valid entries only. Contest ends Wednesday, May 22. For further contest rules, refer to the Terms and Conditions within the Rafflecopter. 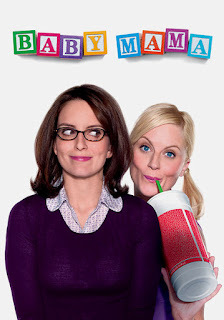 I liked Stepmom - sad but touching. Stepmom! It's the first movie I saw with my husband (boyfriend at the time) that made him cry. Does Mrs. Doubtfire count? If not Little Women. I really hope I win this as we don't have cable! I loved Mr. Mom as a child so I'd like to go back and see that one. I like Annie's suggestion of the Blindside. That is mama bear love. Oh, Juno, that's an awesome choice. Love that. Stepmom, that movie was so good! I love the movie Stepmom! Of the movies listed my favorite is Riding in Cars with Boys. I like the movie 'Little Women'. The Family Stone. GREAT movie! I thought Baby Boom with Diane Keaton was pretty funny. Love Diane Keaton! Dragonfly... was a bit spooky but a very amazing ending. Of the movies mentioned I think Stepmom is my favorite. I just saw it this past week on television. I would pick Little Women. Thanks! I love comedy's ... Mr Mom/Baby Mama/Monster in Law .. Terms of Endearment breaks me everytime! I haven't seen it in years but I love the movie Mermaids with Cher and Winona Ryder.